Paralympian Oscar Pistorius told a metro police officer not to touch his firearm, the High Court in Pretoria heard on Tuesday. Witness Darren Fresco told the court how he, Pistorius, and the athlete's then girlfriend Samantha Taylor were pulled over for speeding in September 2010. They were driving from the Vaal to Johannesburg at the time. Fresco, who had been driving, was speaking to a metro police officer when Pistorius got out to find out what was taking so long. A second metro police officer picked his gun up off the front passenger seat, where Pistorius had left it. 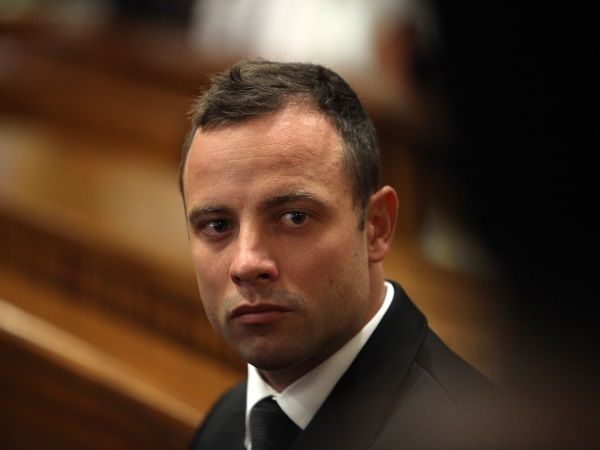 Pistorius had a "verbal altercation" with the officer, Fresco said to questions from prosecutor Gerrie Nel. "The accused replied 'you can't just touch another man's gun'," Fresco said. "He was furious that someone else had touched his gun." After he was sworn in, Judge Thokozile Masipa told Fresco that if he answered questions truthfully and honestly, he would be discharged from prosecution. He faces possible charges related to arms and ammunition control legislation. Pistorius is accused of the murder of model and law graduate Steenkamp on February 14 last year. She was shot in the arm, hip and head. He is also charged with illegal possession of a firearm and ammunition, and two counts of discharging a firearm in public. He allegedly fired a shot from a Glock pistol under a table at a Johannesburg restaurant in January 2013. In September 2010, he allegedly shot through the open sunroof of a car with his 9mm pistol while driving with friends in Modderfontein.